On the night of a bad storm, farmer Ned Barton goes outside to investigate a banging barn door. What he finds horrifies him: the naked body of a woman lying on hay bales in a sacrificial pose. She is the wife of the owner of the farm. Police go to the house to break the dreadful news and discover the bodies of her husband and two little girls. At first it's believed that the family of four is wiped out, but one of the girls isn't a family member. Their sixteen-year old son Daniel is missing. Superintendent Mike Yeadings has to piece together what has happened. The first question that needs answering is the whereabouts of Daniel. Is he responsible for this carnage? Or is he out there somewhere, perhaps dead or injured. They make contact with the only relative, Daniel's maternal grandmother, Anna Plumley. Anna is a retired air-force officer, a practical, no-nonsense woman. Naturally she is one of the suspects but Detective Sergeant Rosemary Zynzynski (known as "Z" - it's easier than buying a vowel!) finds it difficult to believe that she can be responsible. Anna is estranged from her murdered daughter. Jennifer always was a wild child and Anna has long since despaired of her. 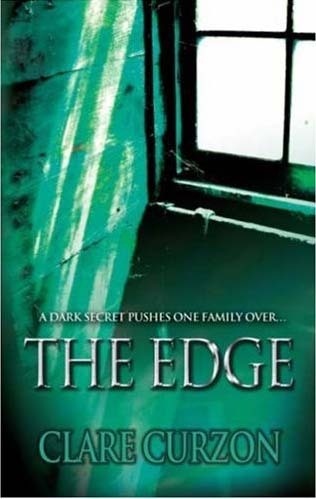 THE EDGE has all the hallmarks of a police procedural. We have a ranking officer who co-ordinates the investigation and assigns officers to follow leads. The team members, "Z", Detective Sergeant Beaumont and the dyspeptic acting Detective Chief Inspector Salmon, all have their own distinct personalities. Where it does differ from most novels of this genre is the involvement of one of the suspects, Anna Plumley. Anna's career has equipped her well for a police investigation and she is able to provide history and insights into the family that may assist in finding the identity of the killer or killers. Of course there is the ever-present question. Is Anna all she appears to be and is her apparent desire to help, hiding a darker motive? An author doesn't successfully write twenty books in a series without getting a few things right. THE EDGE presents the crime, lines up some suspects and then adds red-herrings and dead ends to the mix. Along the way suspects are eliminated and new ones emerge as the police try to fathom out exactly what has happened. In short, THE EDGE is in many ways classic crime fiction. I hadn't read anything written by Clare Curzon before and I won't hesitate to read more. As well as the twenty Mike Yeadings books, Clare Curzon has also written about twenty other novels, some under pseudonyms.